… but what Sophie looks like now she’s done. And then a lot of pinning and finagling, which was not photographed as it required lots of concentration. What do you think? Was she worth the effort? 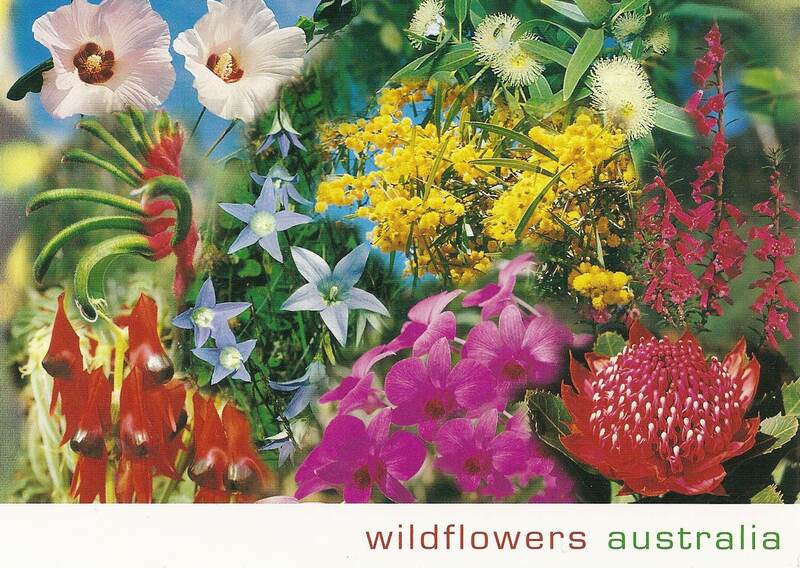 My mother is out of hospital and recuperating at home. In the end I never spent any time with her because she stayed in hospital for a whole week rather than the promised single night and now I have a cold so I can’t be with her. I did spend a happy couple of days with my sister (more on some of our thrifty creativity in her new house in a later post) and made some progress with the masterpiece. 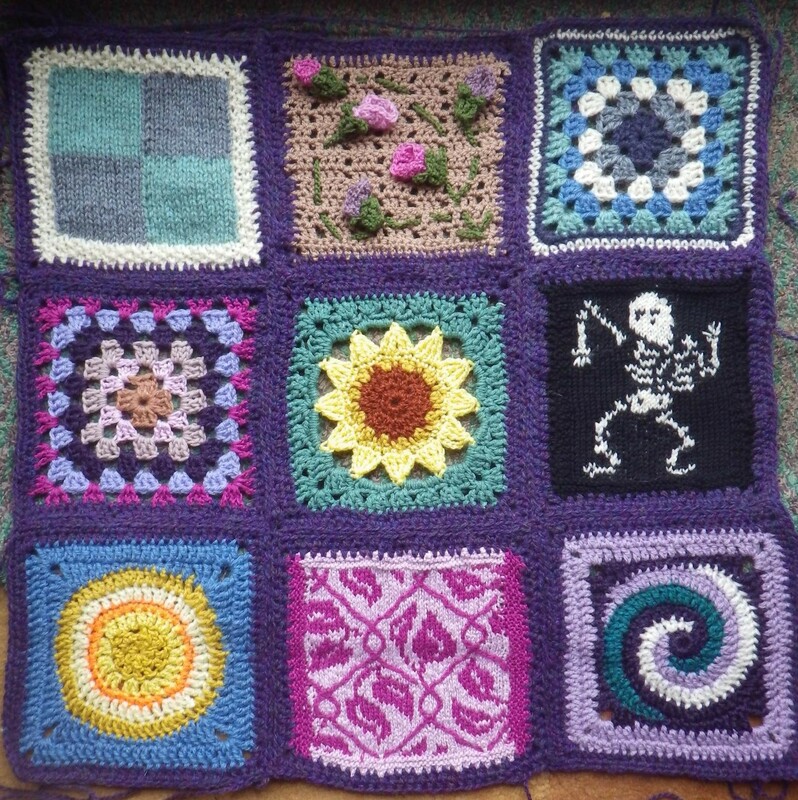 The central panel is complete, with the nine squares bordered and stitched together, and I am now putting borders around some of the other squares and blocking the ones that need it. The edges are relatively quick to do and the yarn is lovely to work with. I think that stitching them together is working well and allows me some flexibility with manipulating slightly different-sized squares (although the edging reduces the variation). Plus, there have been a couple of additions from the blogosphere recently. 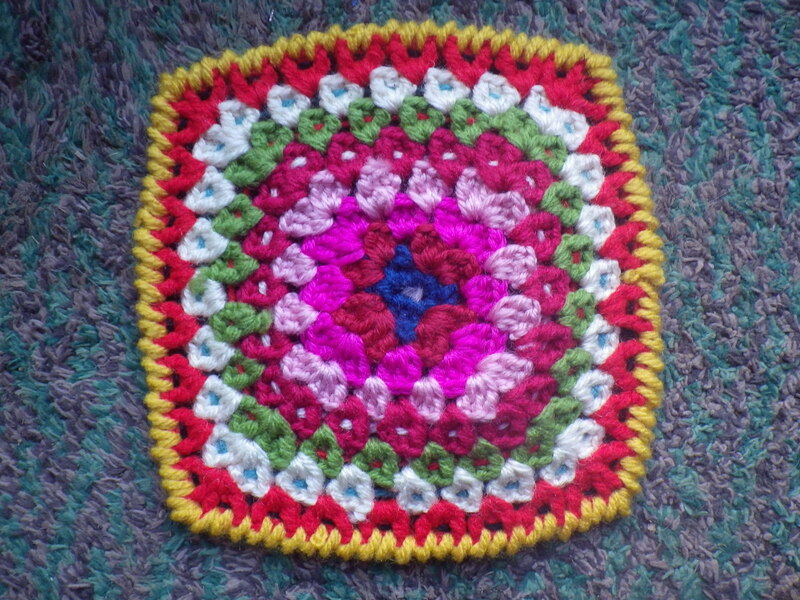 Jill (Nice Piece of Work) has sent a beautiful square from South Africa. 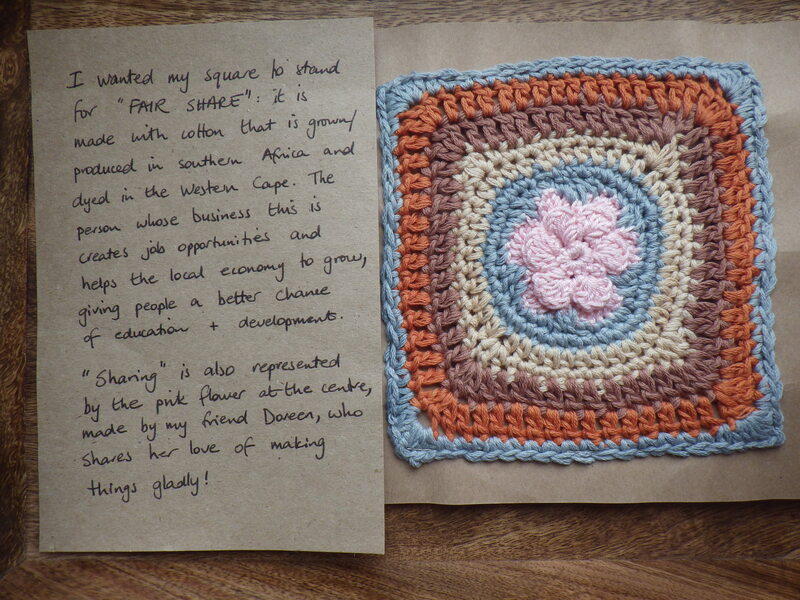 She chose to represent the permaculture ethic ‘Fair Share’ in her choice of local, ethical cotton yarn, plus the contribution of the central flower from a friend. You can see what she wrote here. 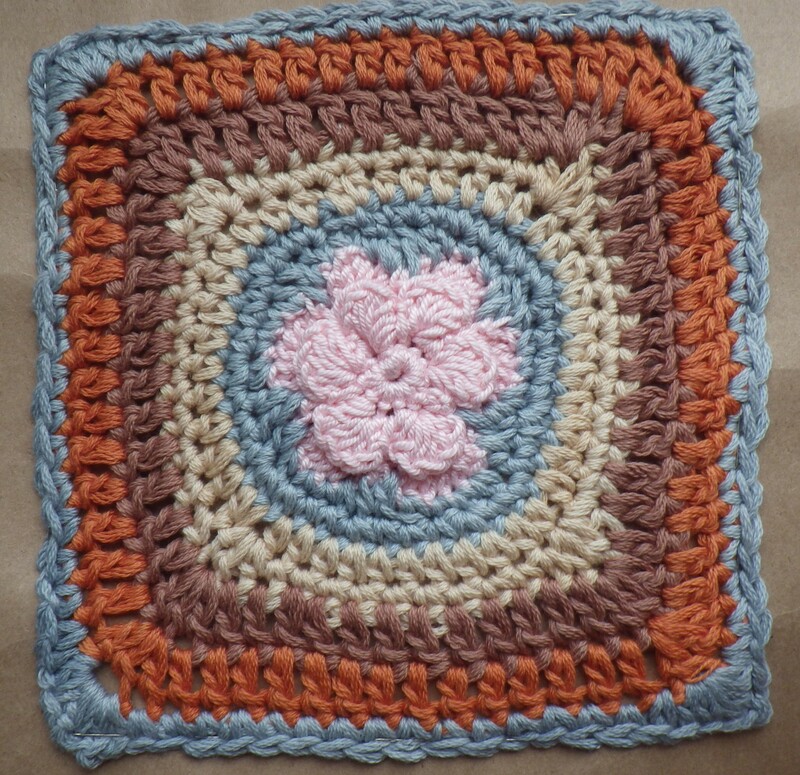 This is my first square from South Africa and makes a lovely addition to the project – thank you Jill. Thank you again Katrina, and I promise to e-mail the picture to you now I’m back home.